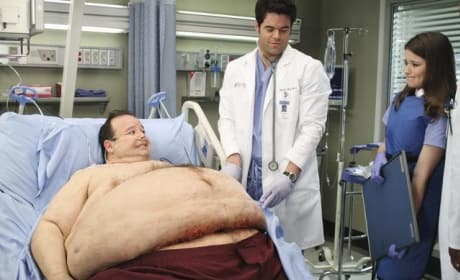 This guy could be the biggest challenge ever posed to the surgeons of Seattle Grace slash Mercy West. In a literal sense if nothing else. Just kidding ... but they might as well knock off two birds with one stone here, right? A Seattle Grace Christmas Card perhaps? 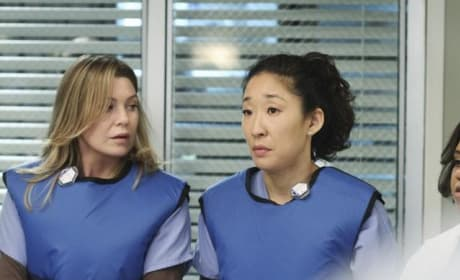 Jackson and Lexie on the May 6 episode of Grey's Anatomy. The week's big case is a BIG case ... 700 pounds worth. 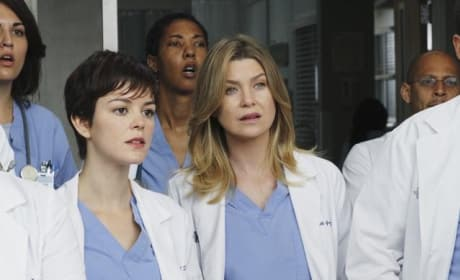 Meredith and Reed look on in "How Insensitive." What roles will they play in the week's case? 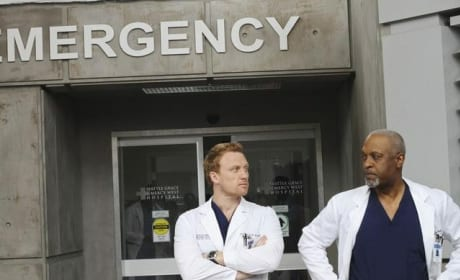 Owen and Richard in the May 6, 2010 episode of Grey's Anatomy. 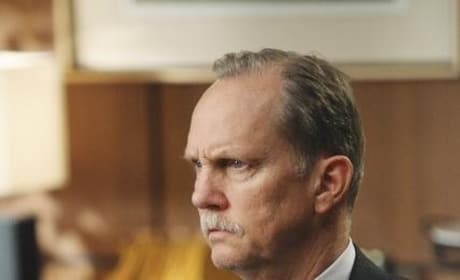 What roles will they have to play in this case? The entire surgical team we love stands at the ready. 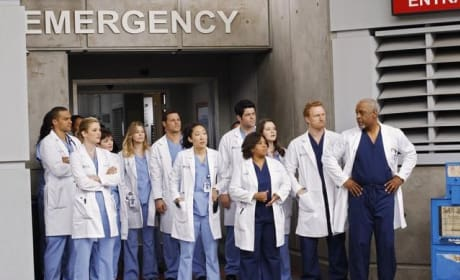 You know it's a big case, no pun intended, when you see everyone on the whole staff assembled like this. 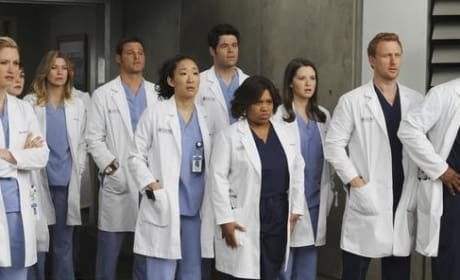 The gentleman visits Seattle Grace on May 6, and he's not pleased, necessarily, with what's going on. How will the team respond? 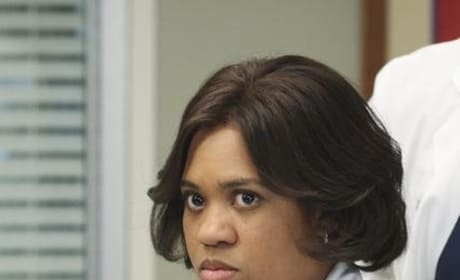 Derek Shepherd is the Chief of Surgery at Seattle Grace Hospital. It's a good job for such a capable, well-rounded guy - but would he rather be in the O.R. ?